What a truly captivating and gritty novel, the word fantastic fails to capture the creative and intriguing tale D.L. Fletcher has spun. The reader is thrown into Holly's chaotic life as a virus has spread throughout the world, killing millions and destroying life as she knew it. D.L Fletcher creatively shows Holly's life before the virus spread through her country and home town, and how she handled with the new chaotic post-apocalyptic world she found herself in. with the perfect use of flashbacks and foreshadowing. The author expertly crafts a creative web of remarkable fiction that has the reader hooked on every last word. Many a sleepless night will be taken by this book, as each chapter just gets better and better. As a reader it is impossible not to get swept up in the wide range of emotions, from pure fear and worry to brief moments of happiness and romance. 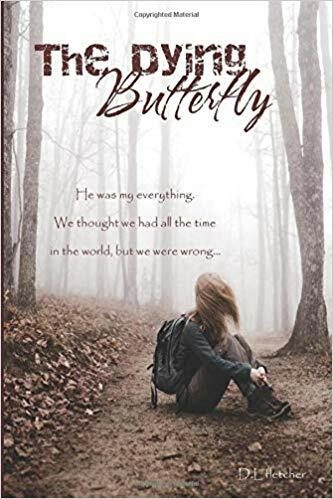 D.L Fletcher creates immensely emotional scenes with beautiful imagery, which will no doubt bring tears to the reader's eyes. D.L. Fletcher has taken a post-apocalyptic, zombie like, narrative and breathed new life into what could be seen as an exhausted genre; this is not an easy feat and something to be commended. She has kept what feels comfortable about a zombie narrative, such as biting, virus outbreak and threat of life. However, Fletcher has thrown away all the other rules, twisting the standard narrative of the genre into something that is truly unique and something she can call her own. While it could appear all doom and gloom within the novel as the world Holly and others know it is turned upside down and practically destroyed, the author brings a flashlight to lighten the darkness. She skillfully weaves light, often humorous, scenes within the overarching virus apocalyptic narrative; thus proving that light can be found even in the darkest of moments and circumstances. Young love is often classed as a fling or something without great substance but D.L. Fletcher turns that conception on its head. When it comes to the love between Holly and Tony the author proves that while they may be young it is anything but a fling or without substance. Even with the turmoil surrounding their family and friends the romantic storyline still holds strong, often driving the main character, Holly, forward when she would have otherwise given up. It is no mere feat to skillfully combine the main horror apocalyptical arch with long running sweet romance storyline, and yet Fletcher does it so very well. While many authors can focus on the virus, the military and political efforts when it comes to a similar storyline as in The Dying Butterfly, Fletcher moved to focus on the human element of the story. Her use of first person perspective places the reader directly into the action and it is impossible to not to be swept away in the waves of emotions that befall the characters. Taking this aspect of the genre, the human element, is a slice of ingenious creativity as it pulls on the reader's wonder of what they would do if placed in a similar situation. It's a question everyone has thought about at one point in their life, what they would do if the world suddenly ended/changed. Overall, D.L. Fletcher has created a creative awe-inspiring novel that keeps the reader hooked on every word. Even leaving them hanging on the edge of a cliff practically begging for more from the tale. "I even went so far as to tell him that I thought he was being melodramatic. But the day came that I ate my words as I sat starving, grateful to have one of those packages to eat." 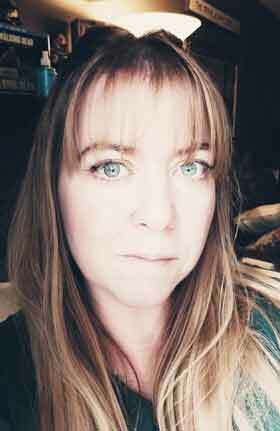 I am a Canadian full time employee - mother of two - grandmother of two - married to a wonderful supportive man who writes in her spare time. I am trying to live at least part of my life doing what excites me the most. I have had an infatuation with pens, paper and note pads since I was a small child. This love affair is still as strong today as it was when I first learned to write cursive. I can't walk into a stationary store or down an isle of pens and paper and not get sucked in. It is so bad that my husband if we are on a mission for something will playfully cover my eyes while taking hold of my hand hurrying me by them. Like most teenage girls do I wrote poetry. You know the -sad my life is horrible - stuff. I had a few about a teenage crush, but most were quite depressing. I eventually grew bored with poetry, but I still needed to write! Stories were swimming and I needed to get them out! Being a teen I had little time between school, chores and a social life so short stories was what I wrote. As a young girl I thoroughly enjoyed the library and card catalogues. I could get lost inside of a library for days and I would have been in heaven - though I never admitted that to my friends, because that would have been weird. I loved books. I still love books! I love everything about them! I love the smell of them, the cream thin or thick pages. I love the covers - soft or hard. I love the way a story can make you get lost inside of it - the author gives you the canvas but your mind does the painting. All of it fuelled my dream of holding a copy of a book I wrote some day. As my kids grew older the need got stronger. It was so strong I had to make it a reality. Even if I didn't sell one I needed to write one and figure out how to get it into a physical book. I started writing my first novel in private. I wasn't ready to share my passion with anyone. I was just too shy - too self-conscious. Eventually though I had no choice but to share my writing with close trusted people in order to get feedback - my mother being the first. I could trust her to be honest, yet kind. Armed with my mother's input and eventually the others I was brave enough to share my work. I filled in the gaps making my first novel a much fuller story- and here I am - still shy and self-conscious with two published books! I'm not sure if I am a great writer or if my stories are interesting, but they are mine. I love the characters like they have lived a part of my life. I love the stories like they have been a part of my reality. Anyway...that's the first mile of my journey. One that I hope will be a thousand miles long….